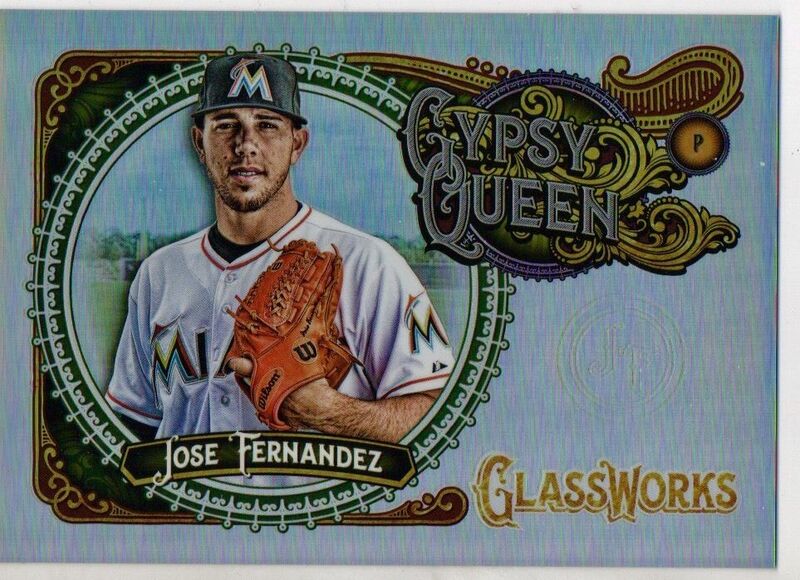 Aiming for aura of regal mystique as its name implies, the 2017 Topps Gypsy Queen set delivers collectors a striking design that is sure to draw the attention of many this baseball season. Immediately clear from opening the first pack of the box, is that the emphasis is on creating cards that are timeless in their display. The vivid action shots that blur the lines of photography and artwork are meant to persist in their appeal for decades. 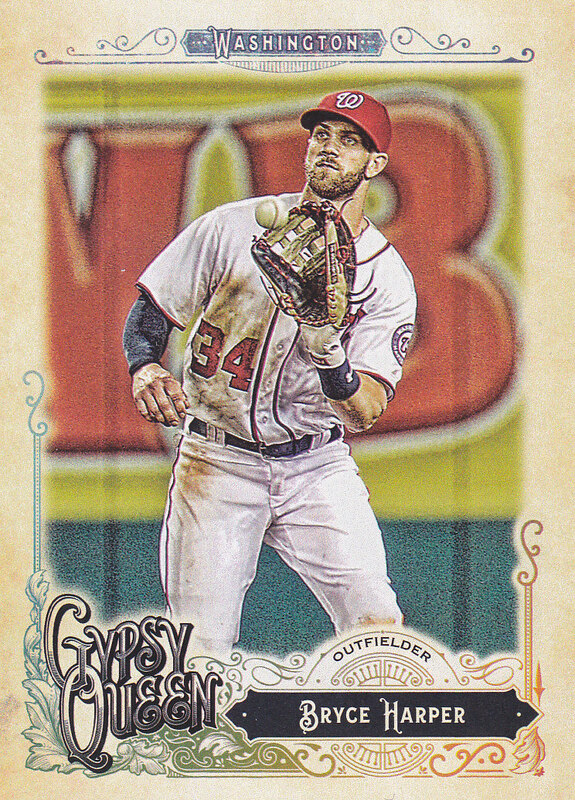 This year’s Gypsy Queen makes some amendments to the 2016 series, reducing the base set to 320 cards and removing the mini parallels from the series of inserts available to chase. 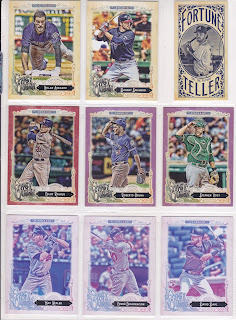 Parallels include numbered colored cards (Purple, Black & White, Red, Black), as well as image variations of players in throwback uniforms or capless action shots. Some of the parallels are hard to determine due to the difficult to read codes in the fine print on the back that serves to differentiate them from the base set. Standout inserts included the Hand Drawn Art Reproductions, which further the design motif of the set, as well as the Fortune Teller inserts that feature many of the rising stars in the league. The most tantalizing insert set however, might be the Chewing Gum Mini autographs (1:771 packs). These signatures include Hall of Famers Hank Aaron and Sandy Koufax, as well as top-tier young talents Carlos Correa, Noah Syndergaard, and Yoan Moncada. In exciting fashion, the box provided for this review yielded three autographs, one more than the two that were guaranteed. 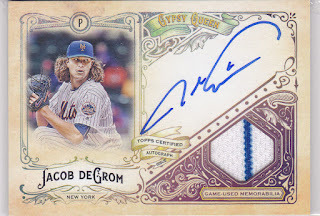 There was a Jacob deGrom autographed jumbo patch, a black and white autographed parallel that was numbered out of 50, and a signed base rookie card. 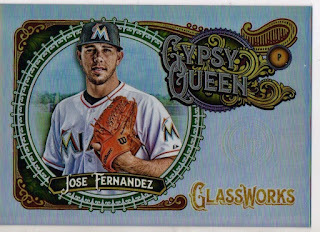 On a somber note, the Glassworks Box Topper inserted into the box, was one of the late Jose Fernandez. As of this writing, Fernandez doesn’t have a base card in any of the 2017 Topps releases; seeing him once again alive on cardboard serves as a painful reminder of his 2016 passing. 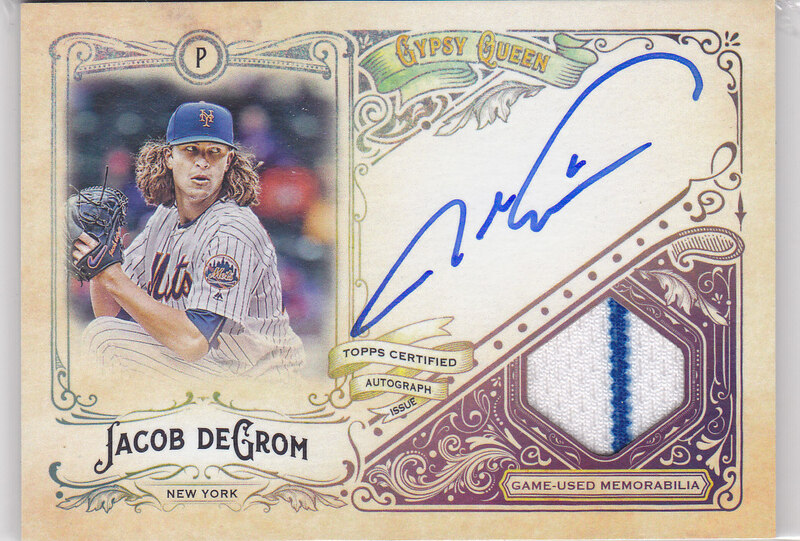 This year’s Topps Gypsy Queen is certainly another release by Topps that is not only worth chasing, but preserving. 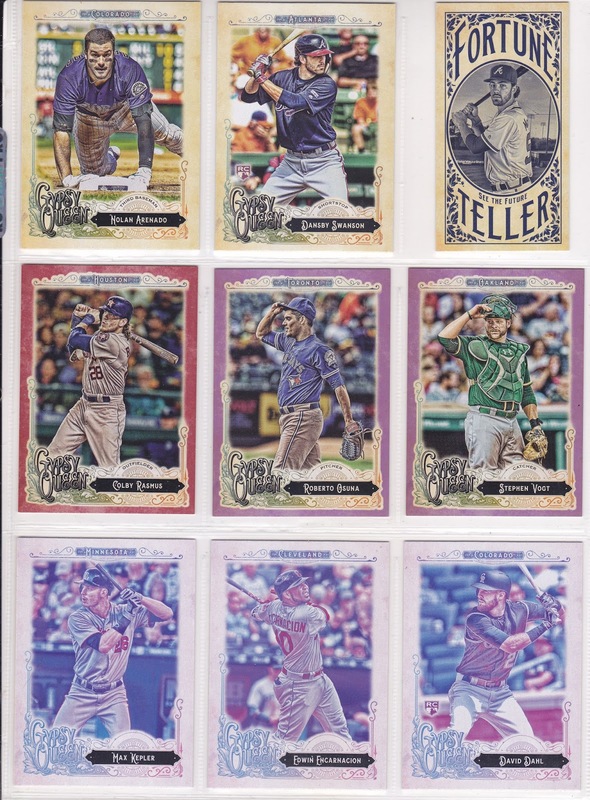 While collectors might find it a bit frustrating and expensive to compile the 20 short prints (1:24 packs) for a complete set, the classic graphics make the 2017 Topps Gypsy Queen a tough set to pass up.